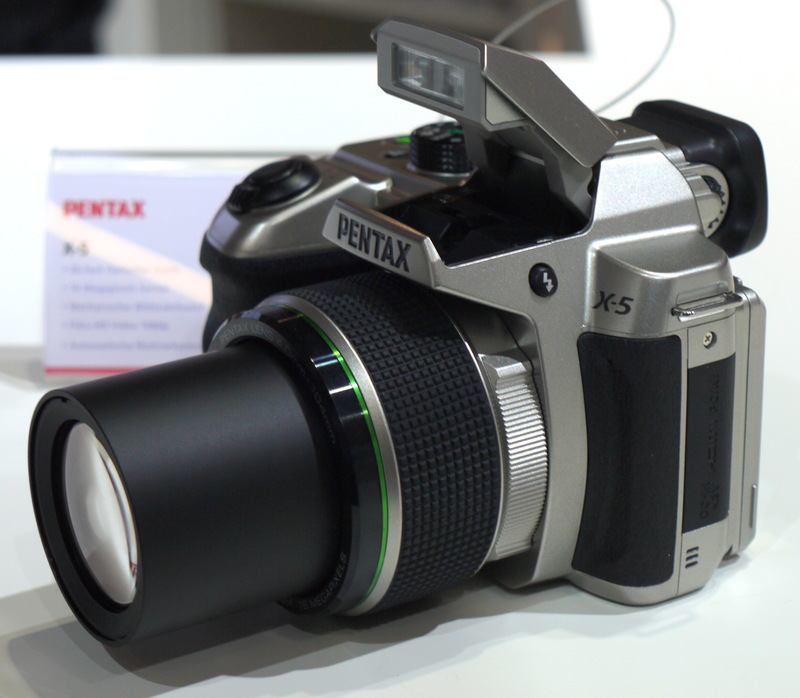 We go hands-on with the new Pentax X-5, the stylish bridge camera from Pentax with SLR styling. The Pentax X-5 is a new ultra zoom bridge camera from Pentax with a 26x optical zoom lens, built in shake reduction, and SLR like styling, with the camera looking a lot like a mini-Digital SLR. The camera has a tilting rear screen, and ample rubber grips for both hands, including a rubber grip surrounding the lens. It also features Pentax's trade-mark green ring around the lens. 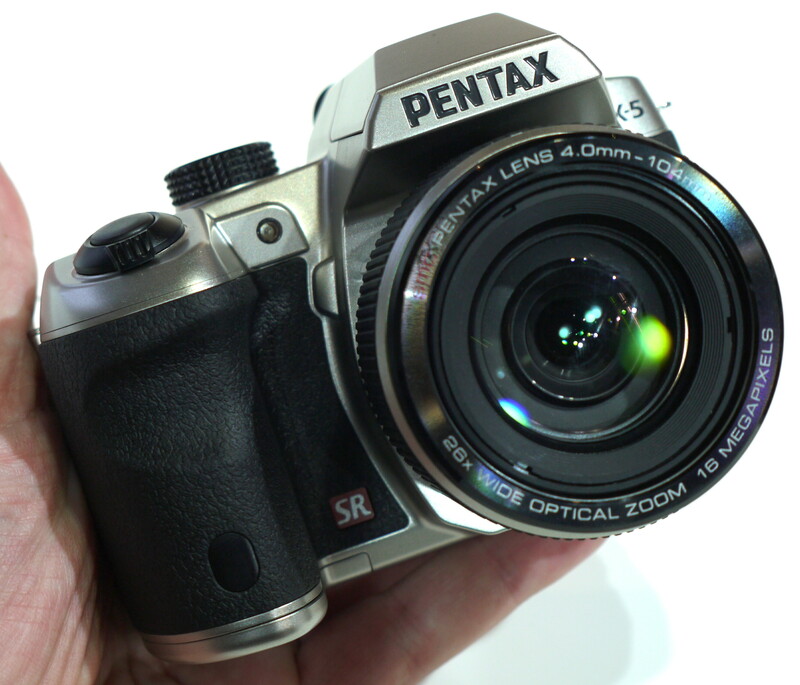 The Pentax X-5 is available in silver or black, and takes 4 AA batteries. 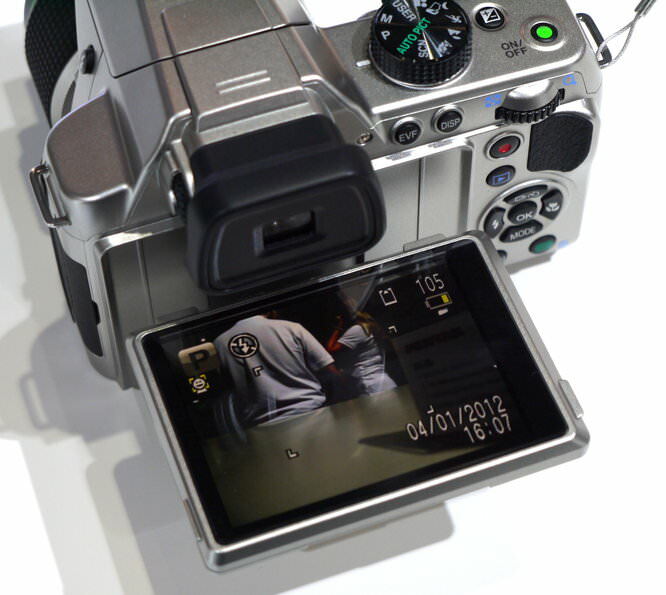 Pentax X-5 Hands On Tilting rear screen.